The International Economics Study Center was created by Steve Suranovic in 1997 to provide useful information related to international trade, international finance and other economic issues of the day. One resource available is an online textbook covering standard topics in International Trade and Finance. Click on Course Materials above to gain access. A more updated and professionally served textbook is available in online, PDF and hardcopy versions at affordable prices at Flat World Knowledge. Flatworld textbooks are affordable, and customizable by adopters. It is the newest innovation in textbook publishing that will address the problem of soaring textbook prices while offering remarkable flexibility for instructors. The Institute of International Economic Policy (IIEP) serves as a catalyst for high quality, multi-disciplinary, non-partisan research on policy issues related to economic globalization. The Institute research program develops academic analysis and effective policy options at a time of growing controversy about international economic integration around the world. This site was created and is maintained by Steve Suranovic, an Associate Professor of Economics and International Affairs at The George Washington University in Washington, DC. 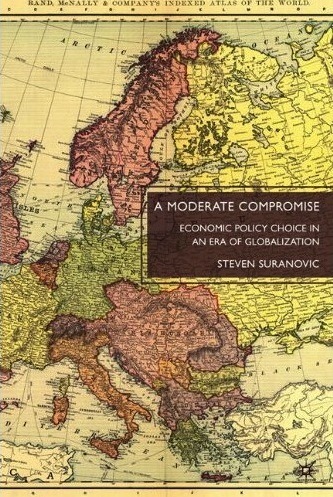 This book offers an approach to globalization policy choice that applies three simple principles to determine actions and argues that these principles are consistent with people's fundamental concerns across the ideological spectrum. The book motivates the need for this mechanism by arguing that traditional policy choice methods (e.g. cost benefit analysis et. al.) are more likely to spark divisiveness than to result in a large consensus of support.